Gran Turismo is a racing game franchise known by many, with its sheer quality of quantity being its key selling point. Clubman Stage Route 5 (CSR5), being the shorter variant of Route 5, was something I couldn't leave out, so I did both tracks side-by-side. But I am pleased with the end result, with the atmosphere and the look being instantly recognizable. 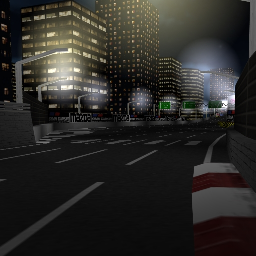 I spent countless hours driving around both layouts in GT1 to make the recreation as close to the original as possible, and fill the gaps wherever they were required. A lot of textures are printscreens from the original game as well.